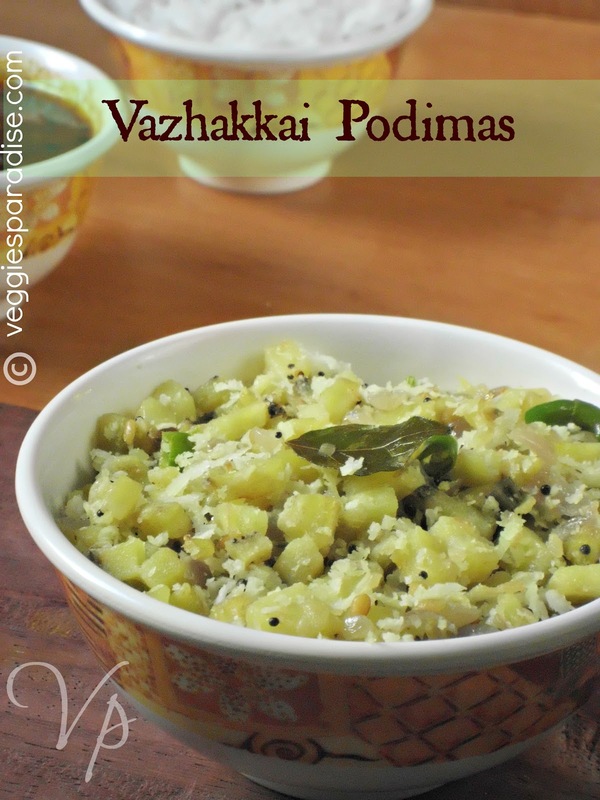 VAZHAKKAI PODIMAS : Raw Banana or vazhakkai is one of my daughter's favorite vegetable. 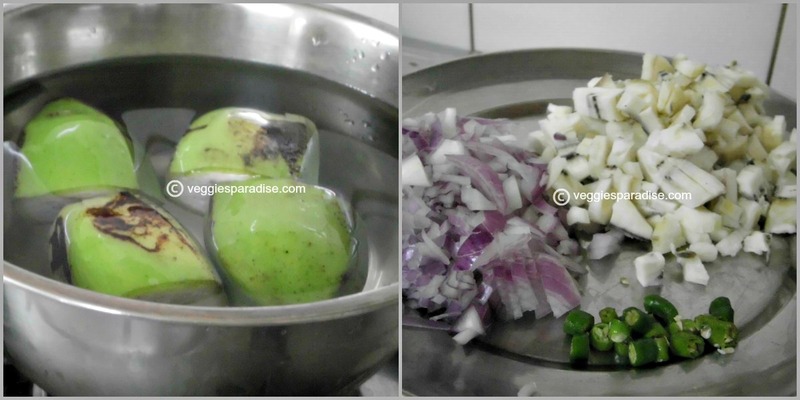 This can be cooked in various forms and can also be combined with other vegetables. 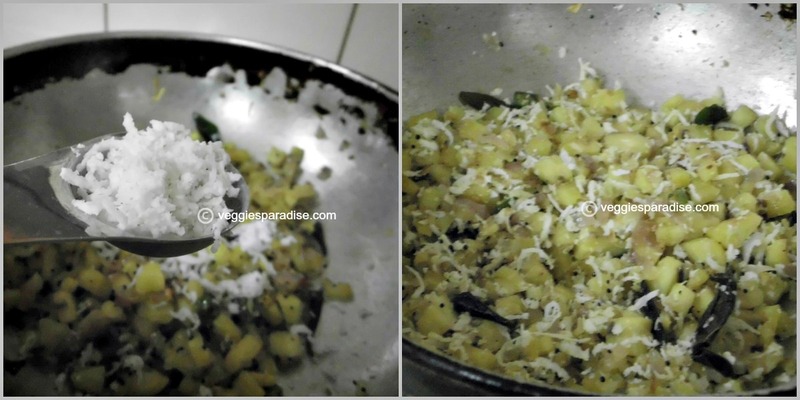 This recipe is simple and tastes well with freshly grated coconut. 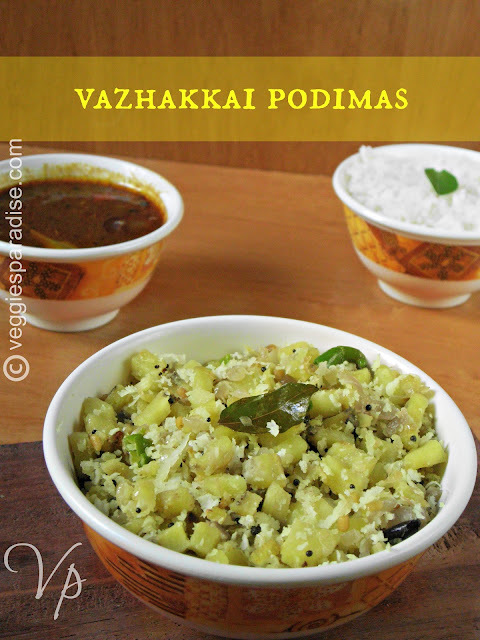 Serve with plain rice along with Kara Kuzhambu and enjoy :). Wash and cut the edges of the raw banana ,chop it and put them into a pan with sufficient water, cook until it turns soft. Remove the skin and chop it finely. Heat oil in a saucepan, add mustard seeds, when they pop add urad dal and curry leaves,fry for a min. Add the chopped onion and green chillies . Fry for about 4- 5 mins. Tip in the raw banana, along with turmeric powder and salt. Stir it gently for a couple of minutes. Finally add grated coconut and mix it well. Remove from heat. Lovely! :) Oh its been ages since i ate raw bananas... mum used to make it, i have never tried in my own kitchen! 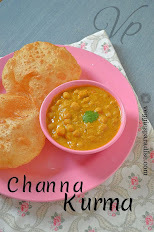 Never tried this.. it looks simple and flavour full! 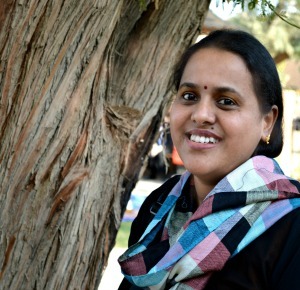 happy to follow you , visit me in your spare time. wow.. beautiful curry.. perfect side dish! Nice side dish to go with sambar rice or curd rice.. Simple yet very tempting curry. One of my favourite dish with raw banana,love it. I love such curries. Simple, healthy and delicious. A very healthy and nutritious dish! Love the click! Yummy and healthy curry.Comfort food for rice. Love this curry, it's been a while since I had this..
You have cooked the raw banana perfectly Aruna! Nice podimas! Lovely recipe.. This is one of my fav..
wow,very healthy ,love this with rice!! Would love to have this with some rice. 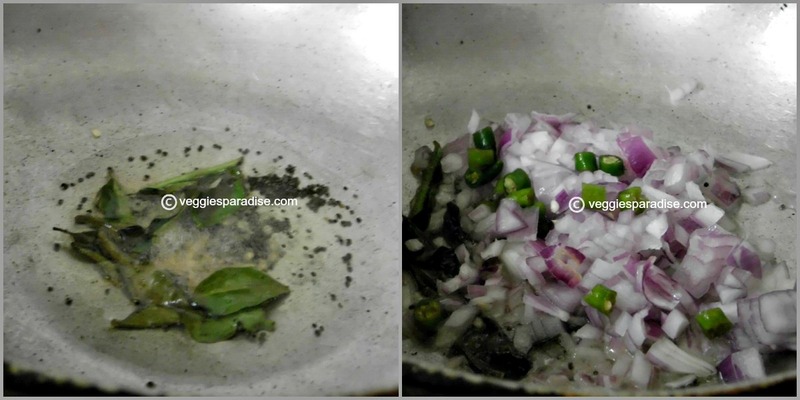 Very beautiful click and delicious looking dish..
healthy and hot curry.great.....nice blog vth tasty recipes..
Lovely side dish recipe, looks yummy!